When you arrive in Oaxaca City in Southwestern Mexico, one of the first things you’ll notice is… mountains. Mountains everywhere. It’s pretty awesome, having a mountain looming over you constantly, and really gives the beautiful colonial city centre its character. But for a lot of us, just looking at the mountains from the Zocalo or Parque el Llano isn’t enough. Some of us need to get up there, to the top of the mountain; Oaxaca is a beautiful city with so many amazing things to do, but its nature is very accessible. In this blog post, I’m going to tell you exactly how to find it and detail some of the best things to do around Oaxaca! Oaxaca lies in Southwestern Mexico. It does have an airport, but it is generally cheaper to fly into Mexico City and then take a 7 hour ADO bus (these buses are awesome, BTW) from the TAPO bus terminal to the city. Oaxaca is a popular addition to many people’s itineraries for Mexico. Most people living in these mountains are Indigenous, so their ancestry pre-dates Spanish colonialism. This means that they speak a different language and have a completely different culture to those living in Oaxaca city (although many people here have indigenous roots, as well). They will most likely speak fluent Spanish as well, but you may hear them speaking zapotec to each other. They’re a very friendly and hospitable bunch – but just remember to be mindful of their culture and respectful that they are a minority. 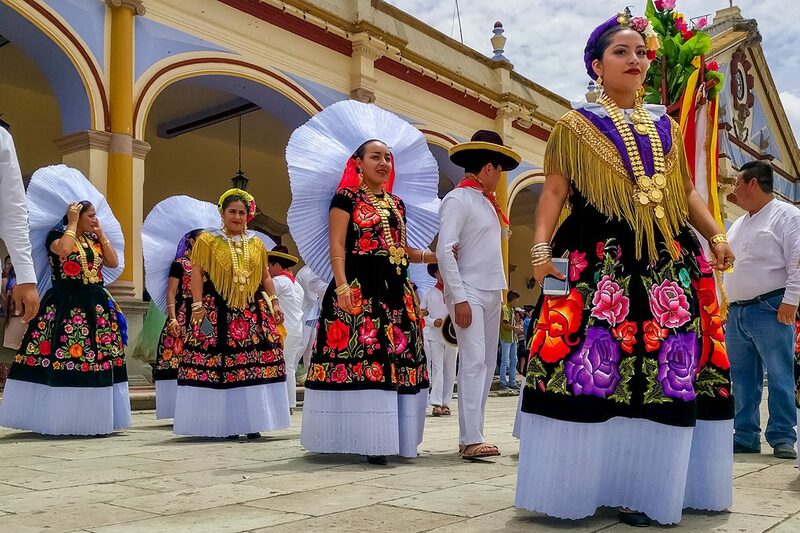 Nowadays, all Mexicans have a strong national identity and Indigenous culture is broadly celebrated – there’s even the Gualeguetza festival that is held in Oaxaca City that celebrates the rich diversity of Oaxacan Indigenous heritage – but they have been persecuted in the past. When Spanish conquerors came to the country, they quite literally knocked Zapotec temples down and built their churches on top! But nowadays, Mexico has one of the most diverse gene pools in the world and there is a lot less stigma towards the Indigenous – although they do remain the poorest communities in an otherwise fast-developing country. Anyway, I’m just telling you all this as a reminder to respect local culture, don’t ask any inconsiderate questions and appreciate this chance to experience a different side to Mexico. If you’re staying with local hosts and get the chance to chat, they will love it if you ask them about their native culture and heritage. If you can learn ‘hello’ and ‘thank you’ in their language – even better! 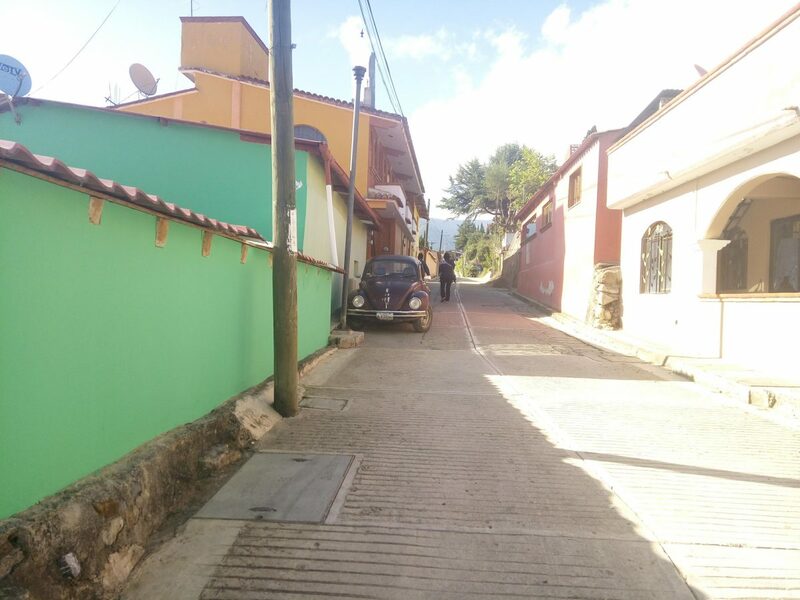 Eight villages in the mountains are registered as Pueblos Mancomunados and have an eco-tourism programme in place. This is great to see; as travellers can come and enjoy nature while knowing that their money is going into the community and helping keep the environment green. The villages of the Pueblos Mancomunados are self-governing. They have their own legal system and laws, and each citizen must do community service once every three years. Only 3,000 people live in the Pueblos, although quite a few more live away and come back for community service. These Pueblos have been designated so since 1998, and have a strong focus on eco-tourism, bringing money into the region and protecting its nature and Zapotec heritage. Oaxaca is the second poorest state in Mexico after Chiapas, and most of the poverty is concentrated in rural areas. This makes the establishment of the Pueblos Mancomunados a really inspiring idea; it’s great for jobs and brings money into these communities, and attracts tourists who want to learn a little about the Zapotecs and know the importance of being kind to the environment. It’s sustainable travel at its finest! 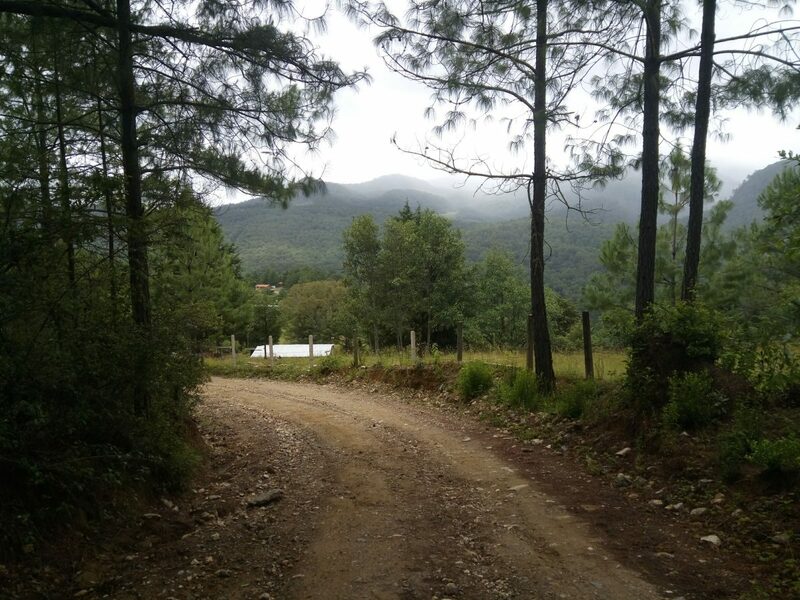 So, if you’re based in Oaxaca for a little while, I highly recommend one of these side trips to the mountains in Oaxaca to see a different side to the state and to Mexico. In this hiking in Oaxaca post, I’ve included the Pueblos that I consider to be easiest to reach independently. It is also possible to go on guided tours factoring in a few villages – more details later in the post! The Sierra Madre mountain range in Oaxaca state has more ups and downs here than a yoyo tournament. While this is every motion sickness prone traveller’s nightmare, it’s heaven for the hikers among us. Think beautiful lookouts, dense jungle, unique wildlife and old-style country living (with plenty of hot chocolate – chocolate caliente – for those chilly nights at high altitude!). There are plenty of places near Oaxaca City that are great for a weekend or even a day trip. Note: this is not a Pueblo Mancomunado but does have an eco-tourism programme. Reachable from the city by two collectivos, Capulapam is a tiny village nestled in the Sierra Norte. It is a part of the eco-tourism movement that many villages in the area have joined, so it offers cabanas on the edge of the forest. There are also hotels in the town and a couple of restaurants. I happened to visit Capulapam during its annual village party, so my night of P&Q ended up with a night spent listening to repetitive brass music, but I can imagine that most of the year it is a wonderfully relaxing spot. I must also mention that I didn’t manage to stay in a cabana – apparently by the time I got there they were all full for the day (due to the party). As they are located a little out of town, I would have been away from the fiesta and would have been able to get a decent kip had I been staying in one! Nonetheless, Capulapam is one of the best weekend trips from Oaxaca and I definitely would return. The best way to explore the nature is to take a walk through the forest; a guide is recommended as the woods do all look the same and there are no signposts. It is very cheap to hire a guide; I paid just 150 pesos plus a tip for about 4 hours. The guide will only speak Spanish. If you manage to secure a cabana, you’ll be right on the edge of the forest and can spend the rest of the time in the area relaxing, going on mini hikes and enjoying the view and being in nature. Fire pits are included with each cabana. There are a few different restaurants in town; all very local, serving Oaxacan food. I managed to get vegan food at every restaurant I ate at which was absolutely bloody brilliant. Unless you know Oaxaca well, it’s probably best to jump in a taxi and ask the driver to take you to the leaving point for colectivos to Capulapam (say to him: quiero tomar un colectivo a Capulapam). 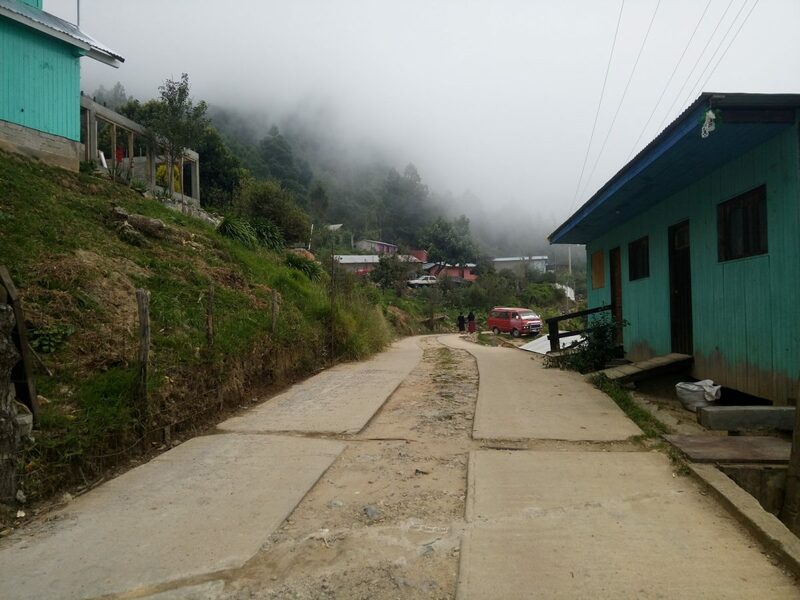 You might be able to get a direct colectivo, but most probably you’ll need to change in Ixtlan. The taxi to the colectivo stop in Oaxaca costs 100 pesos, the first colectivo will cost 50 pesos and the second 10-20 pesos. 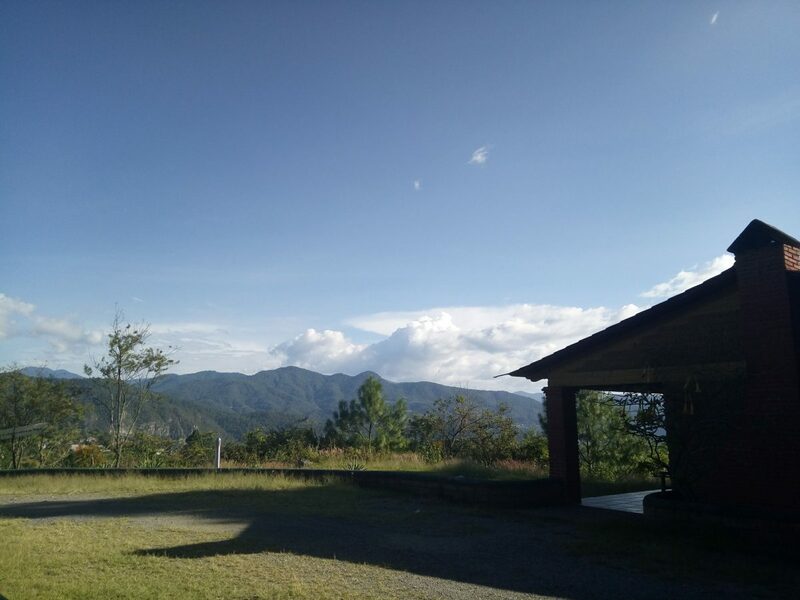 Located a little way westwards and into the Sierra Norte, Cuijimuloyas is at altitude (you’ll really notice it in the evenings) and is home to some of the best hikes in Oaxaca state. There are cabanas available in Cuaijimuloyas and in the surrounding villages. The area around Cuaijimuloyas offers eight hiking trails and three mountain biking tracks, all of which require a guide. There is also a temazcal and a zip line in town! There are a few restaurants in Cuajimuloyas, most of which are attached to hotels. They serve traditional Oaxacan food. If you want to go even further off the beaten track, consider the tiny village of Benito Juarez, population 300. I stayed in this Airbnb in Benito Juarez, a surrounding village. If you’ve never booked an Airbnb before, use this code for money off of your first booking. Like in Capulapam, you’ll be able to hike around the area with a tour guide. 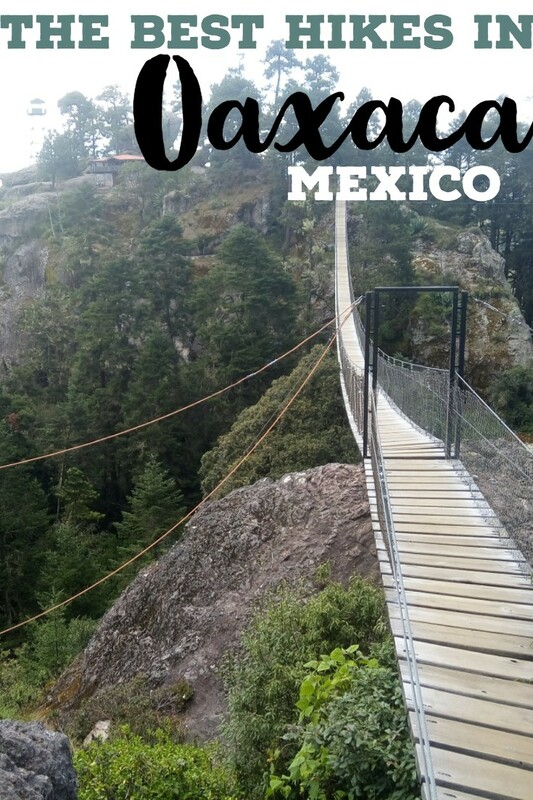 We did a circuit walk that took around 4-5 hours, visiting a waterfall and a lookout point, walking down a somewhat terrifying rope bridge and climbing to the top of a horrendously steep tower. As far as attractions in Benito Juarez go, the hike and viewpoint is the highlight. That being said, it’s a lovely spot to just be in nature, chill with friends or read and write. Benito Juarez doesn’t have wifi and barely gets phone signal, so it’s the ideal spot to disconnect from the world and reconnect with yourself for a weekend. It’s a bit of a challenge to reach Benito Juarez from Oaxaca. You can take a public bus to Teotitlan (famous for its weaving), but no buses or collectivos go up to the village. It’s best to arrange a pick up with your accommodation provider – the owner of the Airbnb I recommended can sort this out. We got a pick up from Oaxaca City, which took about an hour and a half and cost 400 pesos. The Latuvi-Lachatao trail connects these two towns, and it is possible to stay in either. Most travellers begin the hike in Latuvi. You can hike it either solo or with a guide; there are markings but some are clearer than others! The tourism centre provides guides and information. In Latuvi, activities such as mountain biking and a bread baking workshop are possible. If you want to spend the night in Lachatao, you’ll be able to enjoy a peaceful quiet night and wake up in beautiful Oaxacan nature. The Sierra Norte contains half of Oaxaca’s flora and fauna. What could be better? Buses and colectivos should leave Central de Abastos for Latuvi – double check this before you head up though, as the transport routes can be subject to change! 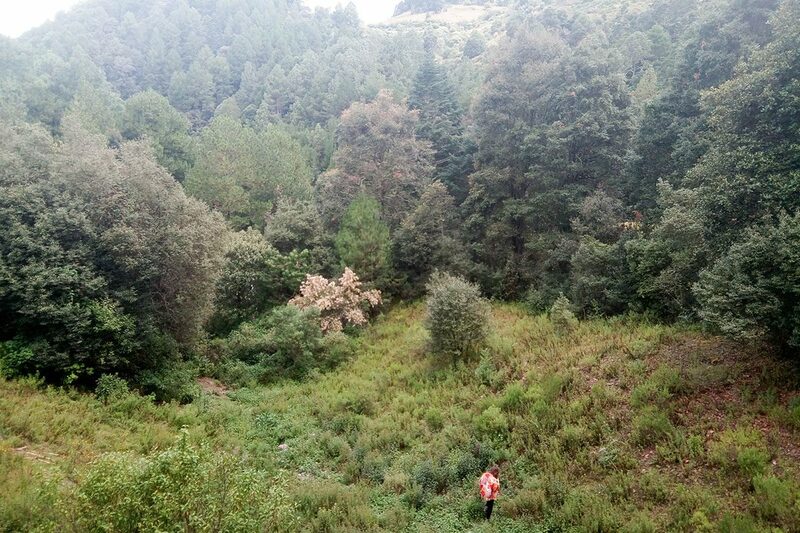 The Pueblos Mancomunados are all interconnected; so it is very feasible to hike the entire way. The trails aren’t marked all that well, but there are lots of friendly locals along the way who will be glad to point you in the right direction. You might need to check and double check. A map is essential if you’re hiking independently; visit the INEGI map office in Reforma for a detailed map of the trailheads before heading into the mountains. 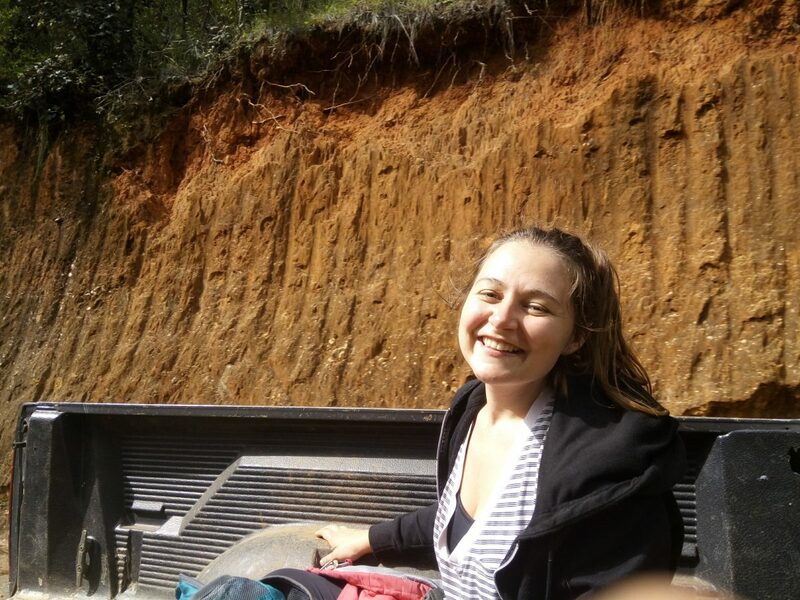 If you don’t speak Spanish or would rather go with a guide who knows the whole area very well, hiking tours in the Pueblos Mancomunados are available and bookable from Oaxaca City. These include an English speaking guide, accommodation and meals. Dietary requirements can be catered to on request and you’ll get a bed with a hot shower every night. All tours are booked through Expediciones Sierra Norte – click here to see their website and send an enquiry. Tours are fully customisable, which means that you can go for however long you want. I recommend any time between 2-4 days, depending on your hiking ability and time available. The Sierra Sur is the opposite side to the Sierra Norte (Sur means South and Norte means North, if that wasn’t obvious), on the way to the Pacific Coast. San Jose del Pacifico is the most famous hiking near Oaxaca spot on this list. The hiking trails are nice; particularly enjoyable is the track from San Jose to San Mateo, the nearby village. Ask in your accommodation for the route – it can be a bit vague at times, but it’s great fun! But the reason why San Jose is so popular is… magic mushrooms. A lot of backpackers head to the town, where there seems to be a loophole regarding the legality of these fun guys (get it?!). However, there’s lots more to enjoy in San Jose del Pacifico. 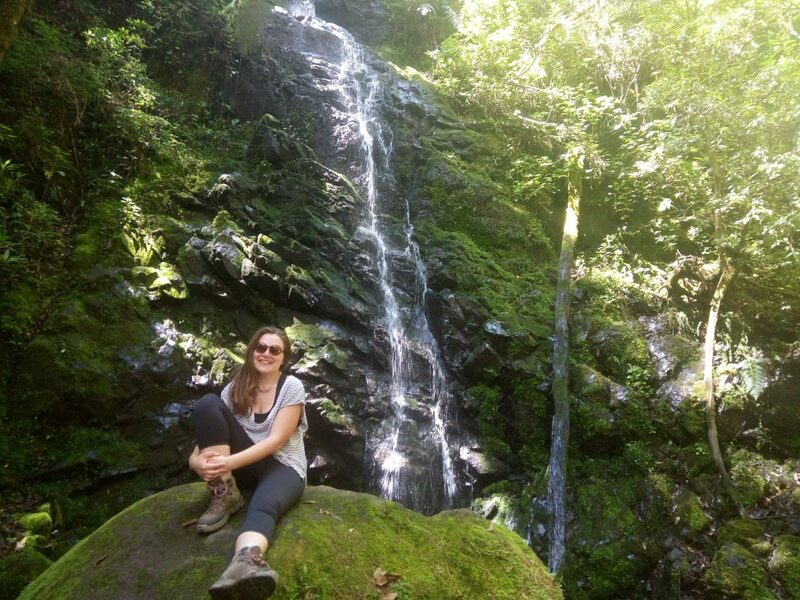 The aforementioned hike is just one of the many trails in the region; it’s also possible to see waterfalls, hike through forests, and just generally enjoy the mystical atmosphere of this spiritual town. San Jose del Pacifico is located about halfway between Oaxaca City and the Pacific Beaches of Oaxaca’s coast. It’s a great stopover if you’re heading to Puerto Escondido, Mazunte or Zipolite, or very feasible as a weekend trip from Oaxaca. Minivans leave the city frequently and take around three hours. Be prepared for a windy ol’ journey – pack travel sickness pills if you’re prone to it. You’ll want some accommodation in Oaxaca before heading up to the mountains – here’s what I recommend. Make sure that you factor in some time to enjoy the best things to do in Oaxaca before heading up to the Oaxacan mountains. 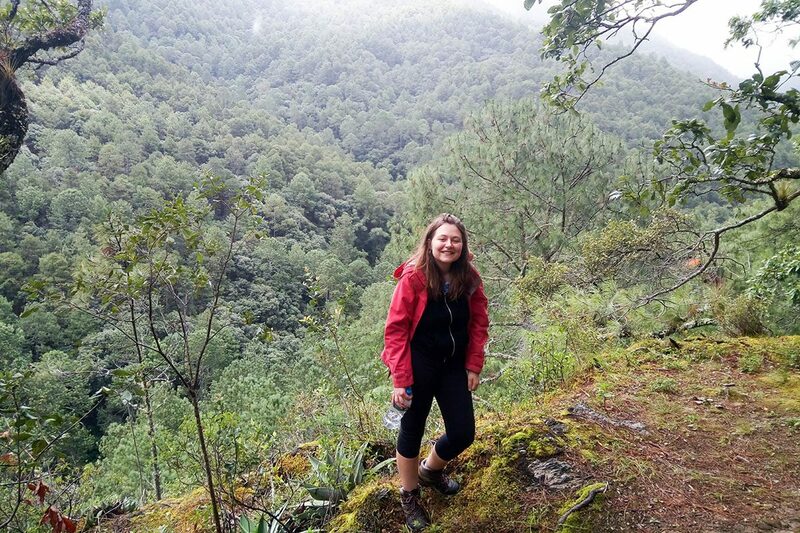 I hope you’ve enjoyed this post about hiking in Oaxaca! If you have, please share it or follow me on Instagram.